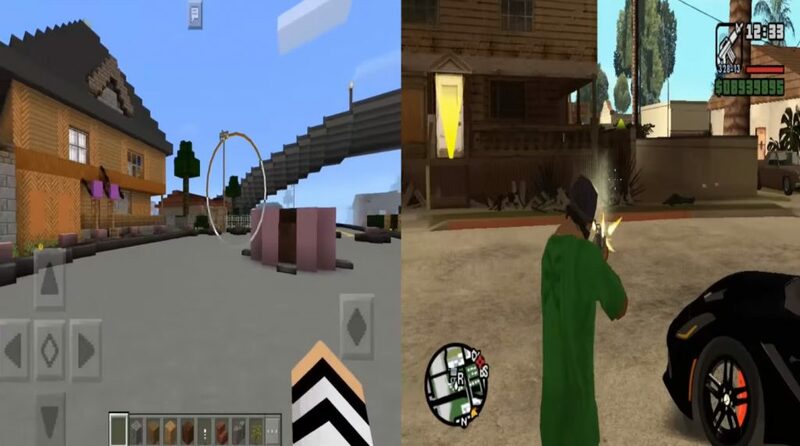 The GTA San Andreas map for Minecraft PE is a ported version of the area around Idlewood in Los Santos, San Andreas. 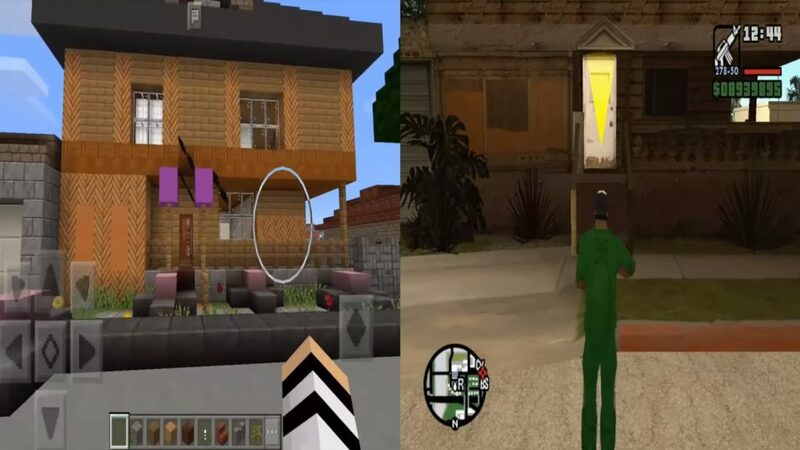 GTA San Andreas is an old and still quite popular game (and, especially, the online version known as SA-MP). The map was created a few years ago as a map for the PC version of Minecraft, but now it has been transferred to Minecraft Pocket Edition. The territory of this map for MCPE has small errors with a shadow, but all this can be corrected by using a night vision shader or by drinking a night vision potion. 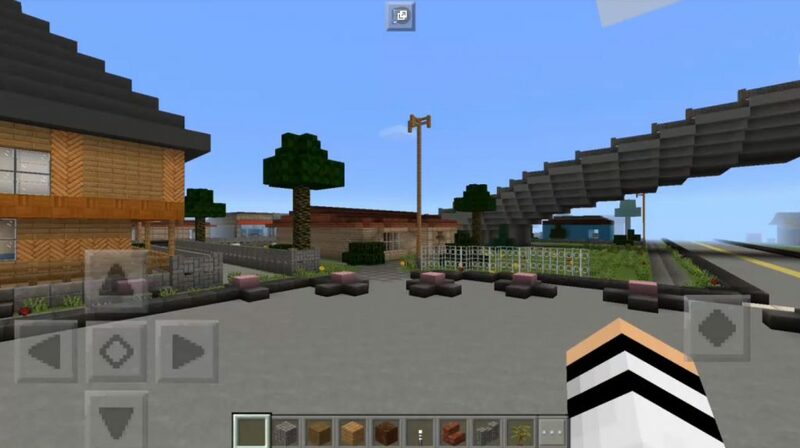 You will find yourself on Grow Street in Minecraft PE. If you played San Andreas, then you must remember that Karl Johnson and his gangsters live here. The map was originally created for the hungry games, but you can also just explore it. The map includes the Night Vision Shader, but if for some reason you cannot use it (or maybe you are using Windows 10), you will have to drink a night vision potion. You will find a lot of interesting strange things. Embark on this exciting adventure in the world of Minecraft Pocket Edition. Los Santos river. Most likely, it was empty because of drought.